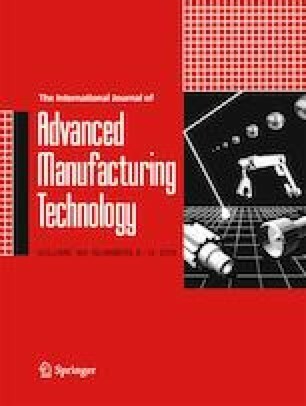 Despite significant advances and established advantages of material extrusion additive manufacturing, limitations still exist regarding ability to increase productivity and still maintain high shape fidelity and defect-free parts within the range of process parameter values that a 3D printer may support. In the present study, a predictive process-planning tool to balance productivity and quality of fabricated parts according to user’s requirements is developed. Taguchi design of experiments (DoE) method is employed in order to determine the process parameters that impact shape fidelity in terms of material deposition stability that results in surfaces of acceptable flatness and defect-free parts. The development of four well-documented fabrication defects is quantified by CAD-to-part 3D comparison. Then, analysis of variance (ANOVA) was performed to reveal, characteristically, that, even though reduced speed generally results in improved shape fidelity, defects arise when small layer thickness is also set. On the other hand, increased layer thickness may be coupled with moderate material deposition speed to improve process productivity without sacrificing part shape. A highly reliable artificial neural network (ANN) is constructed in an optimum way and trained on the previous experiments with the aim to predict shape fidelity across the entire factor level range. Hence, material flow rate which is a function of investigated factors is provided with direct feedback by the ANN regarding possible defects or deteriorated part shape. The method presented lays the basis for robust process optimization on any 3D printer. Charlotte Lassime from École Nationale d’Ingénieurs de Saint-Étienne (ENISE) is gratefully acknowledged for helping with measurements. This study is financially supported by the National Technical University of Athens PhD stipends.